Once renowned for its sponge business and the number of Greek migrants who settled there to work in the industry, Tarpon Spring on Florida's Gulf coast is now a relatively sedate, historic tourist resort. The names of the buildings and districts hark back to those sponge harvesting days in the first half of the twentieth century, while the city was named for the number of tarpon fish spotted by early settlers in the area. A busy tourist resort in the summer, Tarpon Springs also receives more than its share of seasonal visitors in the winter, as they head down from the north to escape the snows. 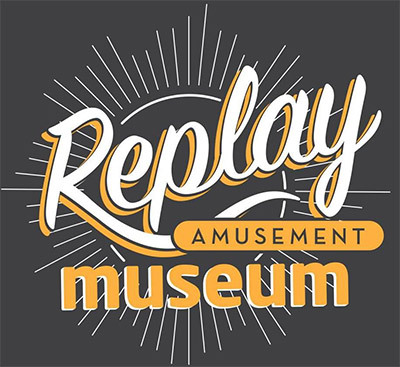 All of which is good news for the local businesses, such as the Replay Amusement Museum, located in the heart of Tarpon Springs. We were spending the weekend an hour south near Sarasota, so we called in to the Replay Amusement Museum on the way back to Orlando on Sunday afternoon. 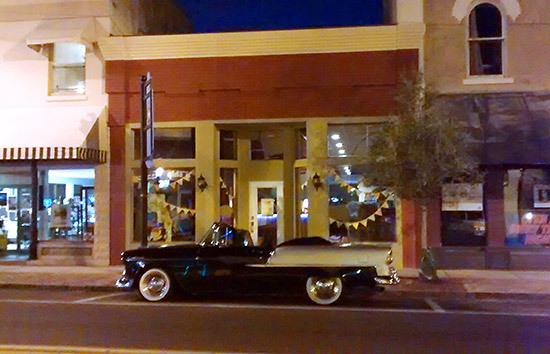 Parking proved to be no problem, and we were able to leave the car almost right outside the door. We said 'almost' - unfortunately that's not our car! Walk through the door and you will arrive at the front desk. 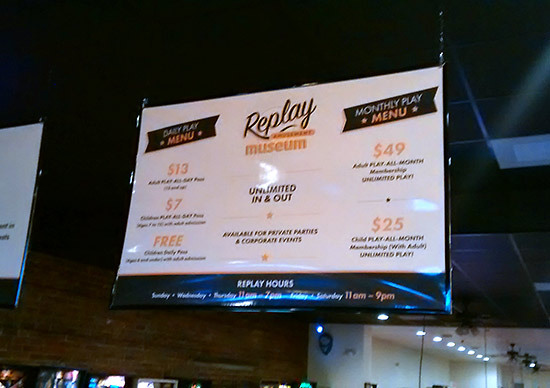 Replay operates a all-day ticket system which costs $13 + tax ($7 + tax for kids with a paying adult). Monthly tickets are also available, which make sense if you plan on visiting four or more times within 30 days. What does you ticket get you? 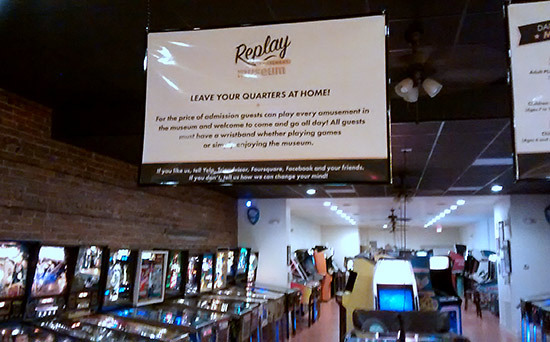 A wristband allowing unlimited play (within Replay's opening hours) of all their pinballs and video games. You can also leave and return as many times as you like during the day, which you will probably want to do since Replay doesn't have any catering facilities. 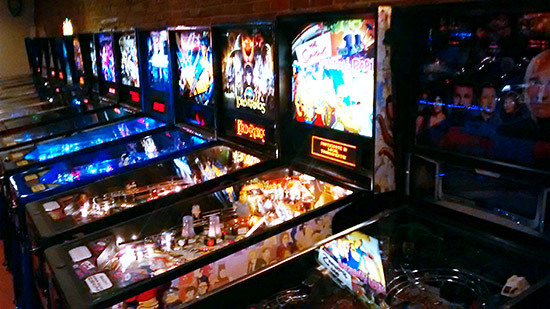 Pinballs are located in the front half of the room, lining the walls on the left and right - mostly solid state or EMs on the left, dot matrix games or newer on the right. 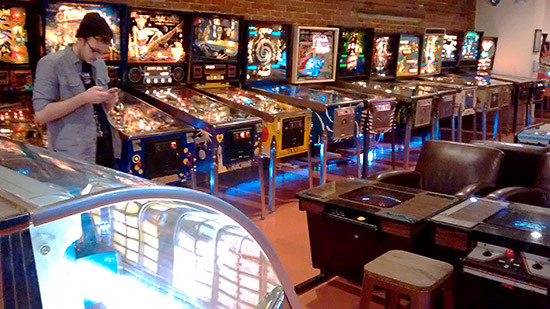 Here's the full list of the 34 pinballs available on this visit. 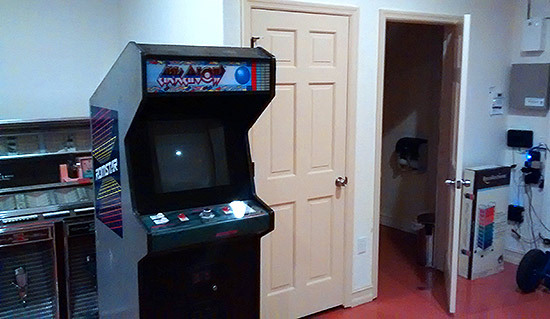 Meanwhile, the back half of the room is filled with classic upright and sit-down video games. 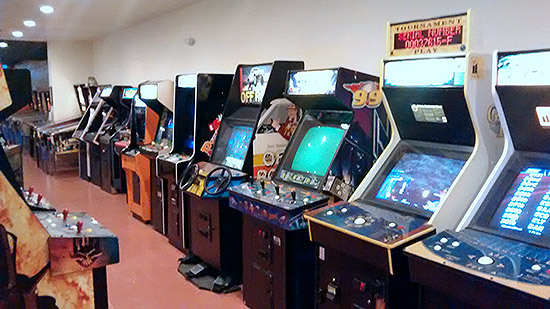 These too are all on free play. At the very back of the building is a repair section where longer-term work is undertaken. Really quick fixes are performed during opening hours, but anything requiring more attention will be dealt with during Replay's maintenance days of Monday and Tuesday. 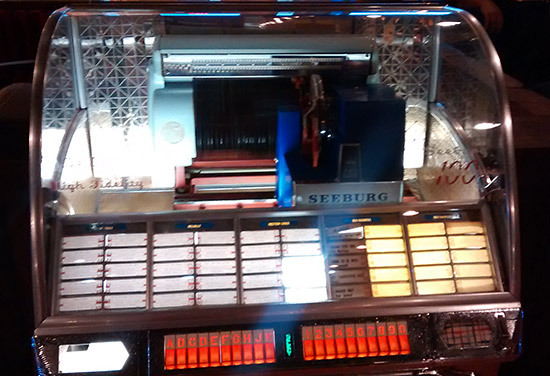 Unless the fault makes the game unplayable, the machine will normally be left in operation with the problem noted at the front desk. The back of the building is also where you will find the restroom facilities. Replay had only been open for a little over two weeks when we visited. Even so, it was pretty busy right up until closing time crept up on us (which is when we realised everyone else had left and we still hadn't taken any pictures). In retrospect, we didn't pick the best time to visit. It was just over an hour before closing time when we arrived, so we didn't get the best value for our $13.91 admission fee. Also, with Monday and Tuesday being maintenance days, all the faults from the previous four days had accumulated and were awaiting the attention of Replay's tech. 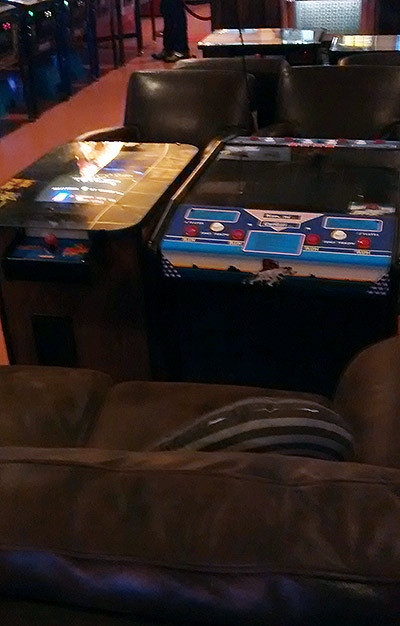 Despite that, we still had a very enjoyable hour-and-a-bit playing the pinballs. 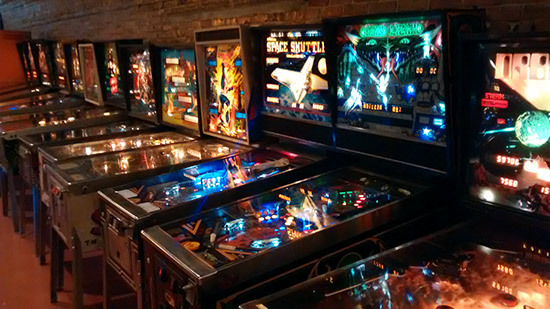 It was fun to play some of the older, and less-popular, titles which you rarely see outside pinball shows. 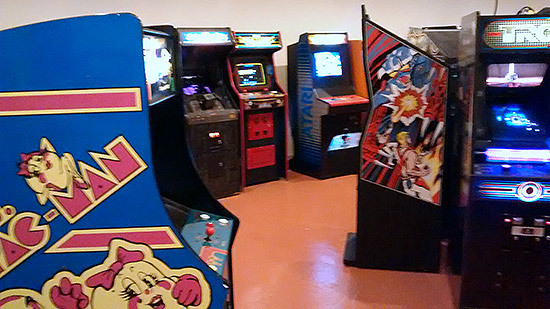 Games such as Space Shuttle, Grand Lizard and Butterfly. 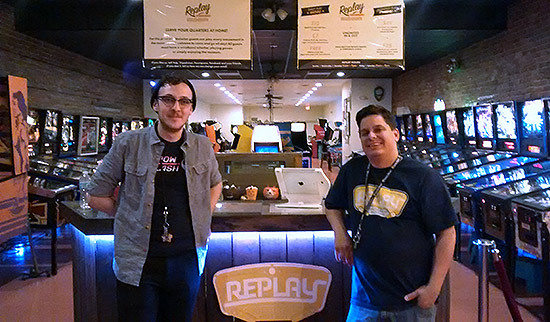 When everyone else had left, we had a chat with Replay's owner Brian Cheaney who was working at the venue alongside Skyler Johnson. 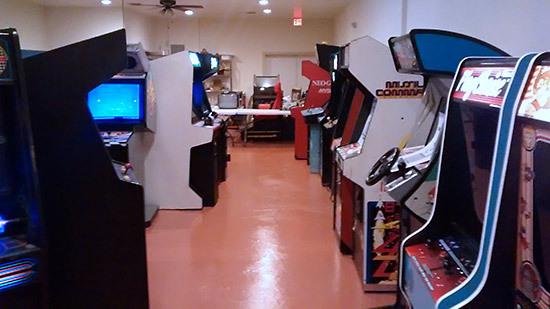 The selection of games changes frequently as they are rotated, machines are brought in on loan, or new games are purchased. Any recurring issues in machines are being discovered after two weeks of operation, and Brian is still finding out how much each machine justifies its place in the line-up. Which brings us to the 'M' word. 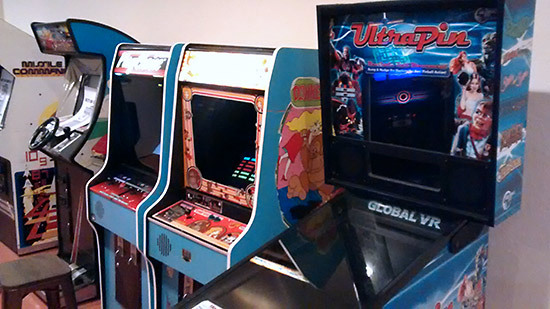 While Replay is without doubt a great arcade location with a nice selection of titles, it is not, as yet, a 'museum'. Whatever learning takes place has to be, at present, self-taught. 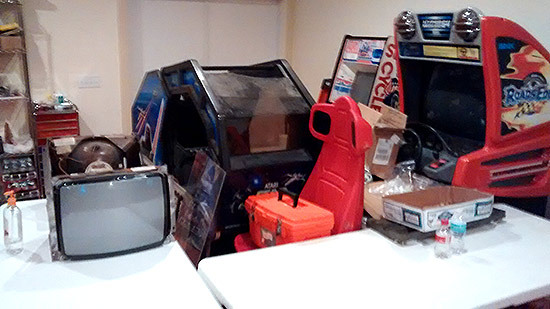 There are no informational signs or literature yet, no details of the machines, their significant features, or their place in pinball (or video) history. The focus is very much on playing. Of course, this is just how it was during our visit when they had only been open for two weeks. No doubt the educational element will increase now they are up and running and can start giving that side of the operation their attention. 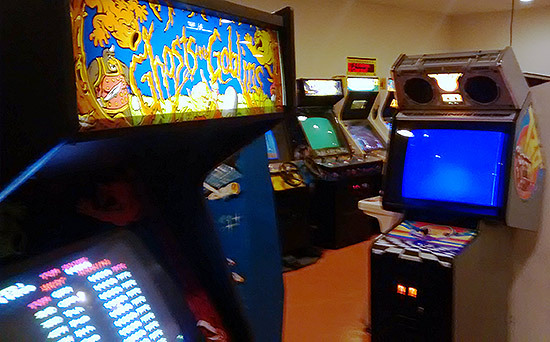 In the meantime, the Replay Amusement Museum is definitely worth visiting the next time you're anywhere in the area. It's very much a labour of love and worthy of our support. 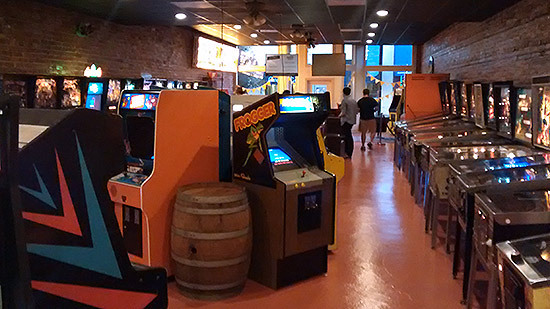 We'll certainly be calling in again on our next trip to Florida.